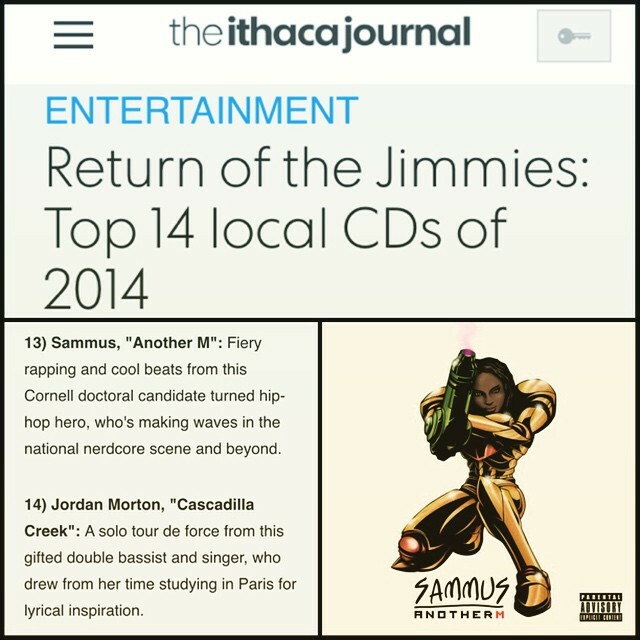 I was already on my way to Brooklyn on NYE so I missed the Ithaca Journal article in which entertainment writer Jim Catalano named Another M one of the top local CDs of 2014! It is such an amazing feeling to not only be recognized by my hometown, but to know that I am bringing nerdcore to new platforms and audiences. Check out the full article here and then if you haven’t checked out Another M, do so today!